Photo: Looking south, Newport Beach with the Surf Life Saving Club on the right. The reddish gold sands of Newport Beach in Sydney Australia await. Located on the Sydney Northern Beaches peninsula. The Pittwater is located on the west side of the peninsula, where you can hire boats and fish. Newport beach is popular for its scenic views, great swimming and surfing. With the SLSC (Surf Life Saving Club) located adjacent to the beach, there are patrols on weekends and public holidays for safe swimming. Both are easily accessible on the Northern Beaches Peninsula. You can catch a regular bus service (Palm Beach 190 or L88) from the city centre at Wynyard. See the map: Sydney City Places of Interest. You can also catch a bus from Manly, at the north end of Sydney Harbour. Catch the ferry from Circular Quay at the foot of the city, enjoy a ride on the ferry or jetcat over the stunning harbour and take the bus past more beaches and scenery. Take bus to Warringah Mall and change buses there to take route 190. At the park behind the beach (Bert Payne Reserve), there is an artisan market held every two weeks, on Saturdays. The Northern Beaches of Sydney usually have picnic areas and facilities for showering and changing. At Newport Beach there are good surf breaks with some excellent surfing on the northern end (the Peak). There can be a large shore break during big surf days. There is a viewing platform and rock pool and picnic area, with electric Barbeques and a playground area for the kids. 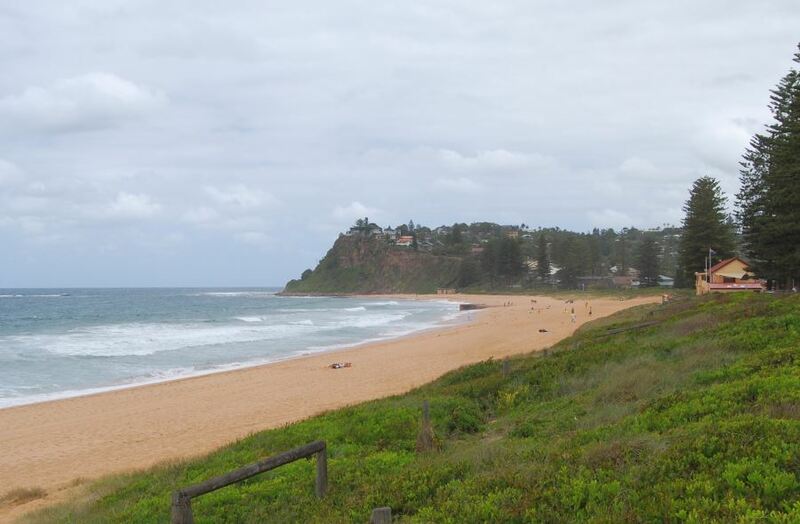 Other beaches nearby include Avalon Beach to the north and Mona Vale beach to the south. Main Photo: Looking south, Newport Beach with the Surf Life Saving Club on the right. Photo: Beach at Newport, looking northwards.